Tardigrades are the toughest animal around. They can survive in extreme environments that would kill almost any other animal. Tardigrades are famous for their ability to perform “cryptobiosis”. They can survive for years without water. Normally their body is 85% water. Their body composition can drop from 85% water down to 3% water and still survive. They can spend years in this dehydrated state. While in a dehydrated state, the metabolic rate drops to .01% of normal. They can survive extreme temperatures. They have been known to survive in temperatures as low as -273 degrees Celsius and as high as 151 degrees Celsius. They can survive 1000 times more radiation than any other animal. 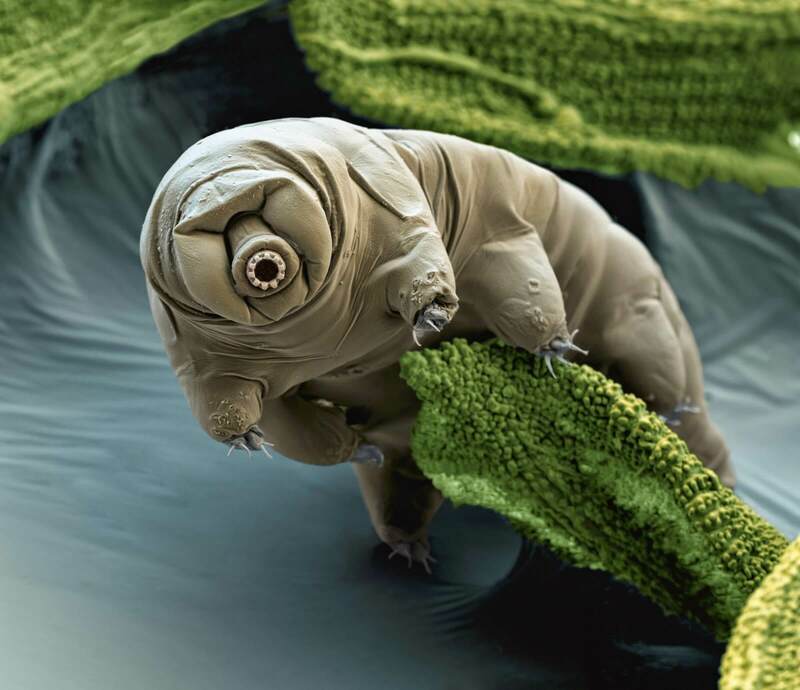 Tardigrades are the first known animals that can survive the vacuum of space! Tardigrades have returned alive when exposed to the vacuum of space for a few days in low Earth orbit. They can remain in the state of suspended animation for years. When placed in water, they become active again. Tardigrades can survive in the extremely low pressure of a vacuum as well as high pressure of 1200 atmospheres. Tardigrades have been discovered in hot springs, on top of the Himalayas, and under layers of solid ice. Are Ancient Aliens Really Futuristic Human Time Travelers?